Biofilm can affect all plants, not just cannabis. The cannabis industry is at a critical point in development. More individuals are consuming the herb than ever before, which only increases the demand for safe, high-quality products. Like with all large-scale agricultural crops, quality assurance testing becomes even more important. How do you know plants are safe before they hit mainstream consumer markets? This question has inspired many a hot debate in various state regulations hearings. The biggest concern right now? Too many cannabis flowers are contaminated with microbial pathogens. While recent headlines have stirred up much concern over contaminated cannabis, researchers in the areas of food and agricultural safety have made a few novel findings about cannabis and plant pathogens. Bryan Berger, a professor in the Department of Chemical and Molecular Engineering at Lehigh University in Pennsylvania, spoke at the Emerald Conference about his team’s recent work in the microbial management arena. Through careful research and engineering, the Lehigh team has invented a few fascinating solutions for problematic pathogens. Here’s what you need to know about the new enemy of plants and patients alike: biofilm. What types of microbes are in cannabis? 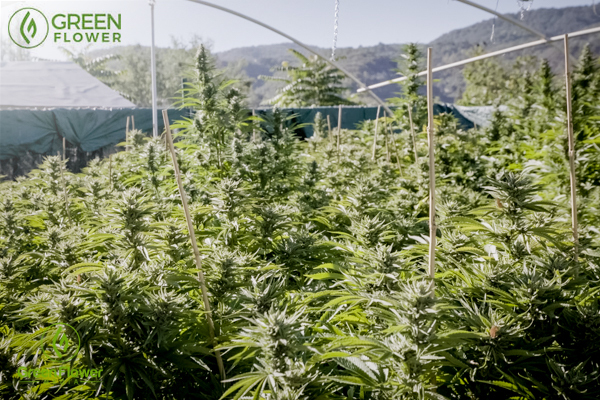 The cannabis industry is quickly increasing its focus on quality & assurance. Not all microbes are bad. In fact, the cannabis plant would not be able to grow without the help of a symbiotic ecosystem of helper bacteria, viruses, and fungi. However, certain microbes can become pathogenic to the plant, humans, or both. E. coli is a frequent pathogen in agricultural crops. It comes from crops or water that has been contaminated by feces. Exposure to E. coli can cause nausea, vomiting, diarrhea, stomach cramps, and fever. Salmonella is perhaps the second most common agricultural pathogen. Each year, salmonella infections result in 19,000 hospitalizations. Like E. coli, salmonella can cause diarrhea, nausea, vomiting, and fever. Candida is a yeast. This yeast is responsible for many different forms of fungal infection, including toenail fungus and the more extreme fungemia, which causes severe flu-like symptoms. While the presence of some of these microbes is normal, problems arise when groups of microbes form a biofilm. Biofilm is difficult to get rid of and is one of the primary reasons that so many cannabis flowers fail microbial tests. Pathogens that form biofilms also tend to be more drug resistant than those that do not. Biofilm is created when lone bacteria and other microorganisms decide to sync up and live in harmony. In a way, a biofilm is like a microscopic forest. By creating a biofilm, the microbes can attach to different surfaces, hang on, and better infect plants. They also better protect themselves from toxic compounds. Have you ever found pink discoloration in a bathtub? That is biofilm. Biofilms can come in all sorts of variations. 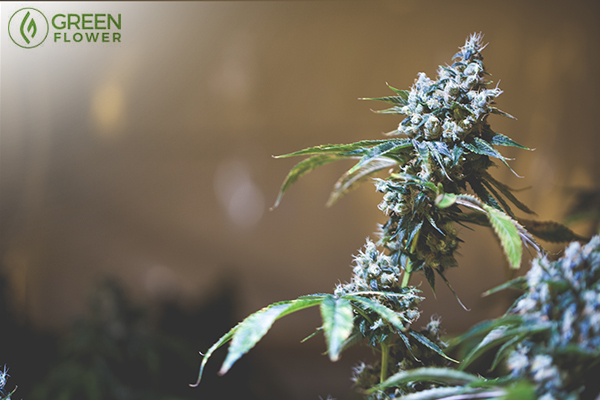 In cannabis, biofilms can affect the roots, leaves, and buds of the plant. After exposure to antimicrobials, microbes begin to release signals and link to create a biofilm. This makes the pathogens significantly harder to eliminate. Berger says that bacteria like to take up residence in places with high surface area. This includes cannabis flowers, which are often dense and retain moisture. However, there are several areas around both indoor and outdoor grows that provide the perfect habitat for biofilms. Exposure to biofilm via equipment and after the use of antimicrobials is thought to be the single biggest risk factor for both human and plant pathogens. How do you get rid of biofilm? Safely getting rid of biofilm can be a challenge. As mentioned above, treating the biofilm with anti-microbial agents can trigger free-floating bacteria to create a biofilm for survival. Many of the common pesticides used to clean up biofilm can also be hazardous to human health if used improperly. To help solve the problem of contaminant biofilms, Berger and his team have been experimenting with enzymes. Enzymes are proteins that alter chemical compounds (substrate) by breaking them down. These enzyme products can be used to break up biofilm and make pathogens once again sensitive to antimicrobial agents. Apart from treating biofilms when they occur, routine cleaning and maintenance can help prevent contamination. This means regularly cleaning air conditioning and humidity control systems as well as hydropic reservoirs. Click here to view the complete conference line-up and get 24/7 access to the whole thing! Do you think access to safe, clean cannabis is important?